Why not finish off your fencing with a tanalised post cap? 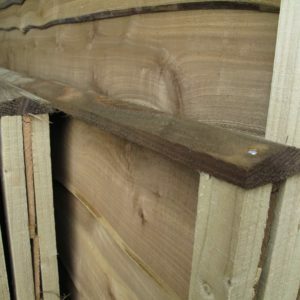 These planed square or rectangular caps add the finishing touch to your fence panels. Made from pressure treated softwood, they are flat topped with chamfered sides. 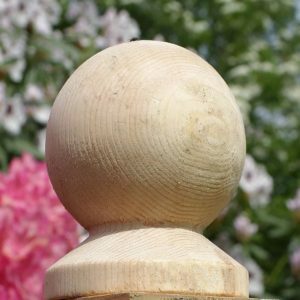 These turned wooden tanalised balls make an elegant finishing touch to your fence panels or picket fencing. Available in two different sizes and suitable to sit on a post cap. Be different! 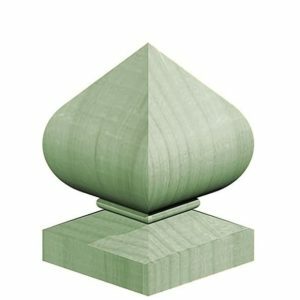 Finish your fencing off with these 3" ogee shaped treated finials. 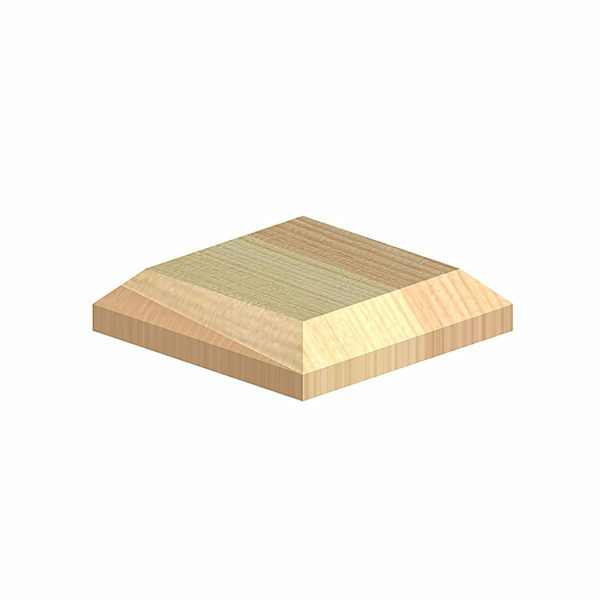 These planed and chamfered caps come in 6’ or 12’ lengths, or can be cut to size. They can be used to finish off some Yorkshire board or feather edge fencing or replace the capping on existing panels. They are made from pressure treated softwood. 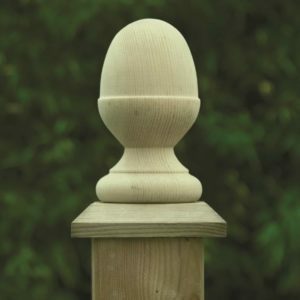 Put the finishing touches to your garden fencing with these tanalised acorn finials. Available on their own in two different sizes or in packs of two, containing acorn finials, pre drilled with post caps and screws.